Cairo is on TCM right now. One of the old crazy films. Sometimes annoying, generally lots of fun. 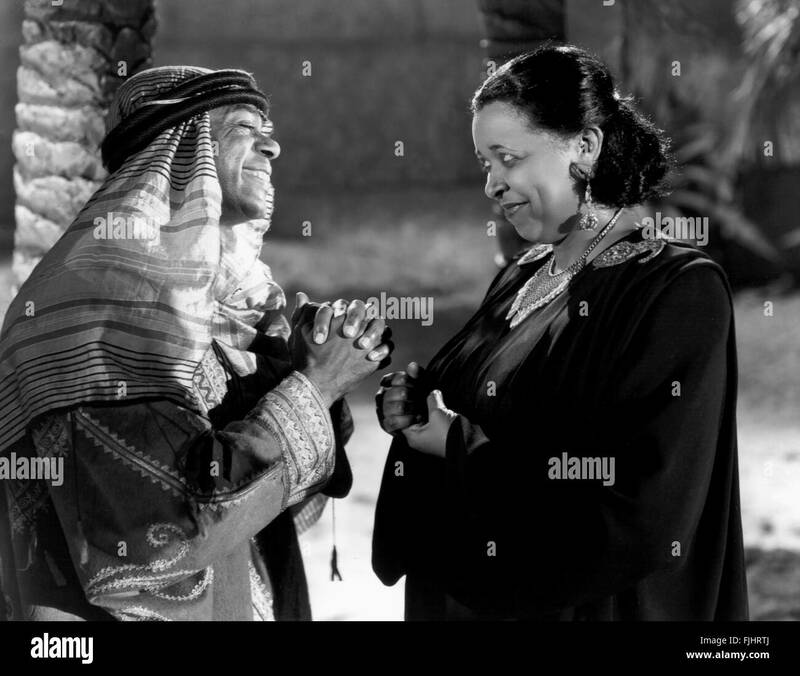 At the moment, Ethel Waters is singing "Buds Won't Bud," which leads into one of the most bizarre romantic exchanges/duets ever, between Ethel Waters and Dooley Wilson. "Don't look toward me, I ain't Mecca." I have to laugh every time I see Ethel Waters. Now I did like her in "The Member of the Wedding" but I remember seeing footage of Butterfly McQueen talking about Waters, and she said though Ethel liked to promote herself as a wonderful person full of saintly virtues, Butterfly said Ms. Waters was one of the meanest women she had ever met and a real pain in the you know what. I think I'm gonna believe Butterfly who seems like a good joe. I do feel sorry for poor Dooley though in this scene. Loved your write-up on "Cairo"! I have to laugh every time I see Ethel Waters. Here's a priceless old Ethel Waters short, with a 7-year old Sammy Davis, Jr. Ethel sings "Am I Blue" and "Underneath a Harlem Moon."